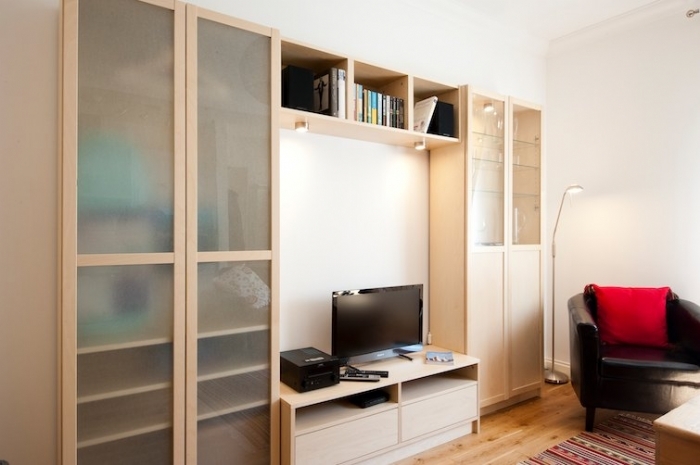 Small is lovely for this apartment. 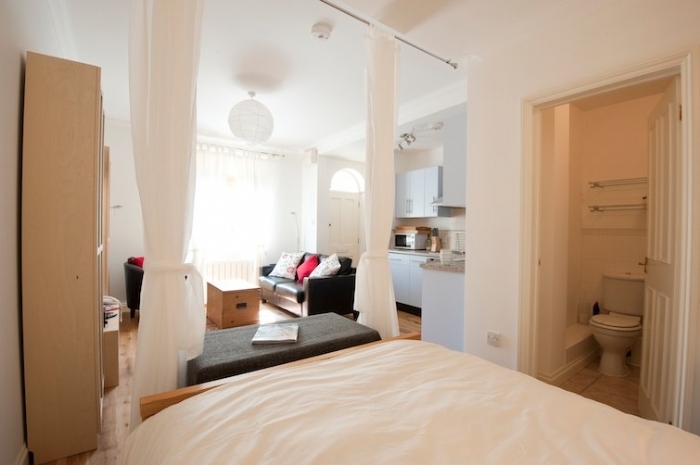 Perfectly located, comfortable and ideal for a couple. Possibly a small table and chairs to eat at would be good ..... but a small point as we personally tend to only eat breakfast in and dine out on an evening. All equipment in great working order and WiFi much speedier than our village up north!!! Would definitely stay again but next time we will have daughter and dogs in tow ..... any ideas for places to stay? Exactly as described if a Ittle expensive for what it is. Convenient location. Nicely kitted out and clean. Reply from Cai Thank you for taking the trouble to write a review. 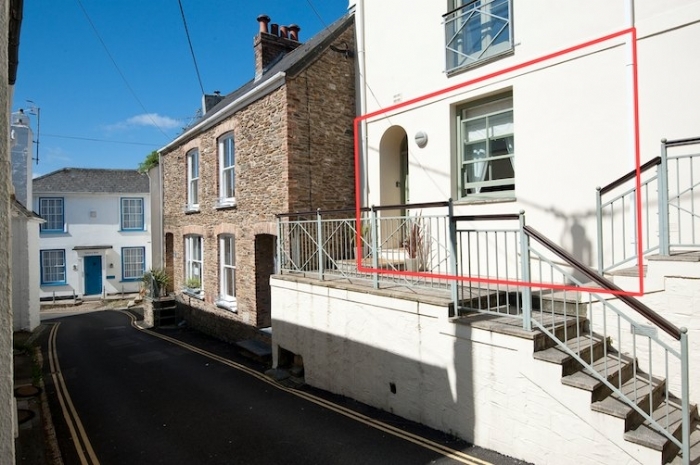 We're happy that you found the location convenient but are disappointed that you scored Number 1 less well in this category as it is only a few steps from the Quay and all that St Mawes has to offer. A brilliantly situated property with all you need. Cannot fault the fixtures and fittings, however on a personal note the mattress could do with being a sprung variety rather than a foam one as it was too soft for us. 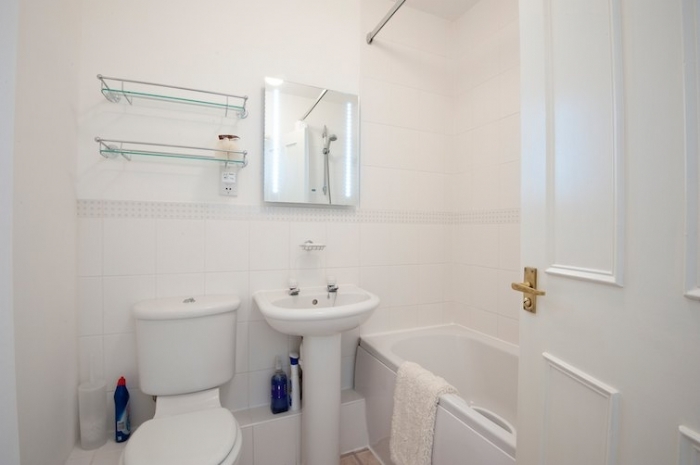 A studio flat with a high standard of finishesand equipment, very close to the waterfront and ideal for two. The notes left by the owner were comprehensive and very helpful. Having read previous reviews, as a 6-footer, I was concerned about the bed but it was fine. Lack of a dining table is a problem but we managed. Parking is a problem but we were able to stop outside to unload before continuing down to find a parking spot. As we were exploring the area, we were out for most of the day and, on return, I was able to find a spot on the front each afternoon and stay overnight for free. It just meant that I had to get back by 8.30am to move it to the jetty parking for an hour (£1 for an hour). We found eating out and drink prices high. £8.50 for a 250ml glass of red wine in the St. Mawes Hotel was extortionate. this was our second visit to no1 and would recommend it to our friends, nice location just back from the harbour front. Excellent location and value for money in autumn. Bathroom had little pieces of mould around the tiles. Otherwise no complaints. St .Mawes was good for visiting all the attractions we desired. 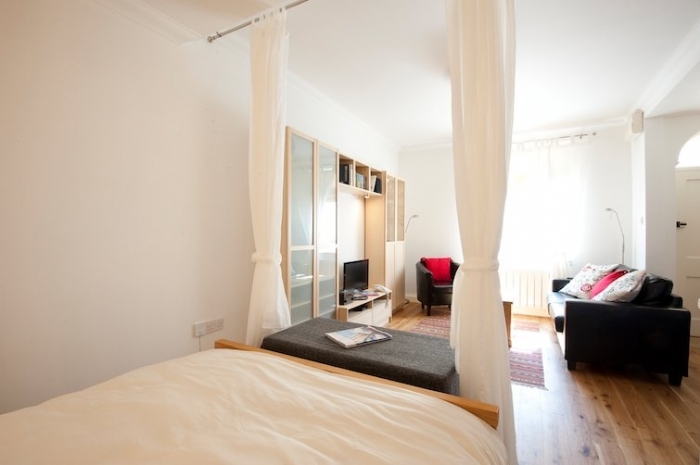 We found the one roomed apartment very clean and ideally located, we had a lovely stay. The bed was rather small and the pillows uncomfortable, which didn't make for very comfortable sleeps. Also, the sofa wasn't very comfortable either, it was hard to sit without sliding down the seat. 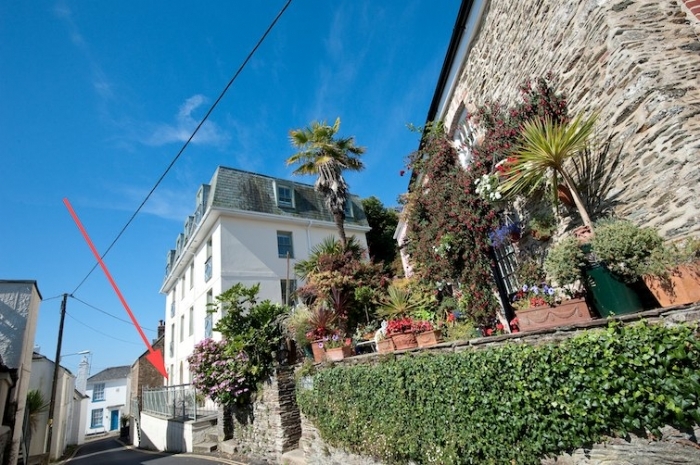 Number One is a lovely comfortable apartment in the delightful village of St Mawes. Everything was close to hand, we didn't need to use the car at all. A very relaxing break. Number 1 is compact but cosy . Well equipped for two and well maintained. Downsides were the short bed ( and I am 5'6 ) ,the lack of a dining table and chairs , and the slippy leather sofa. That said, we had a wonderful week in St Mawes. Best meal we had was at Porthminster Beach Cafe in St Ives, but we were glad to get back to the relative peace and beautiful location of St Mawes. Reply from Cai I am sorry that you found the bed short, it is a standard double bed. 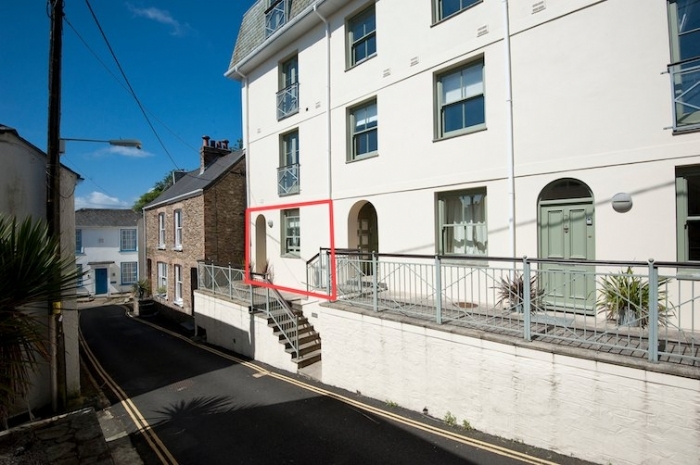 Ideal location in the centre of St Mawes, Only 100 yards to the quayside, bakery, butchers and well stocked Co-op. Although there is a pub serving decent food with a good atmosphere within 100 yards, it was nice and quiet. Our stay at Number 1 was great. The mattress was comfy, location central, Modern Decor. My only complaint is there was only 1 Bin Bag, and no freezer. Number one is located perfectly in the village of st.mawes, very clean and compact and even had a dishwasher. We are not keen on leather settees but you cant have everything , and one small detail there were only 4 coat hangers in the wardrobe, otherwise we had a great stay. 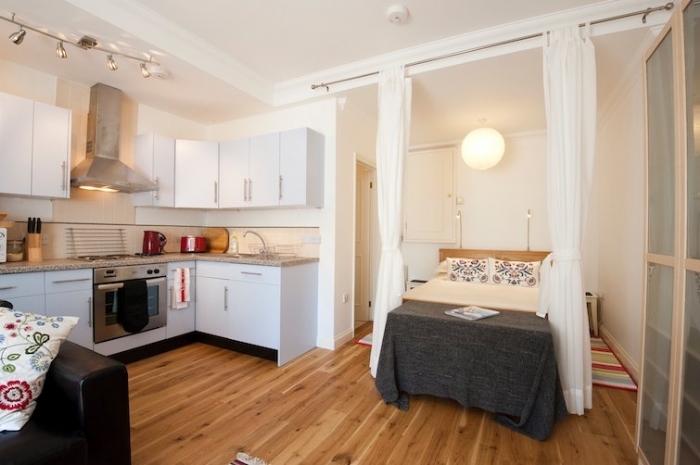 This small and perfectly formed studio apartment is an excellent base for visiting the Roseland Peninsular. It is in such a great place, St Mawes is one of my favourite places in Cornwall. Only one criticism - the bed was too small and a bit soft. The accommodation is fine, didn't appreciate towels were not provided, my fault as I didn't read the two mentions that they are not provided. In other holiday cottages they are, so be warned. The bed has a tailboard, so if you're tall, your feet will hit that. Otherwise, fine, the shower is excellent, the mirror is lit, so appreciated by my partner for making up etc. 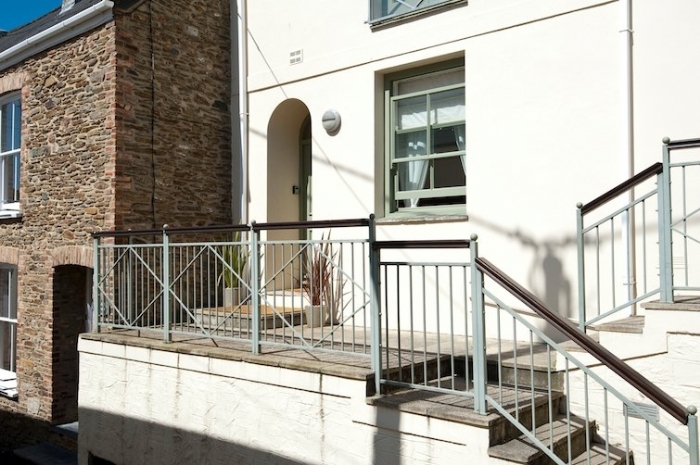 Reply from CornwallsCottages.co.uk on behalf of the Owner Thank you for your informative review and for the positive things you've highlighted about Number One. 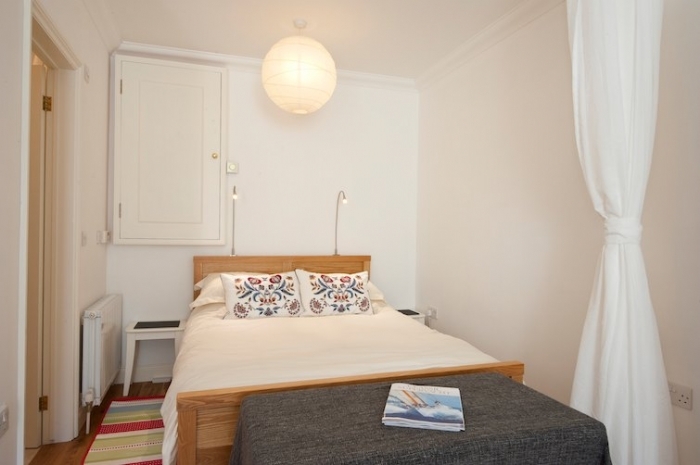 We want guests to enjoy St Mawes and our flat as much as we do, so are concerned that that there may be a couple of areas in which you feel that we could improve. I am sorry that the lack of towels caused you inconvenience but, as you said, this is mentioned in the details on the website, in addition it is highlighted in the booking confirmation email that you received from Cornwall's Cottages. I am afraid that we are not able, practically, to provide towels within the existing price structure for Number One. I am also sorry that you found the bed's footboard a discomfort. 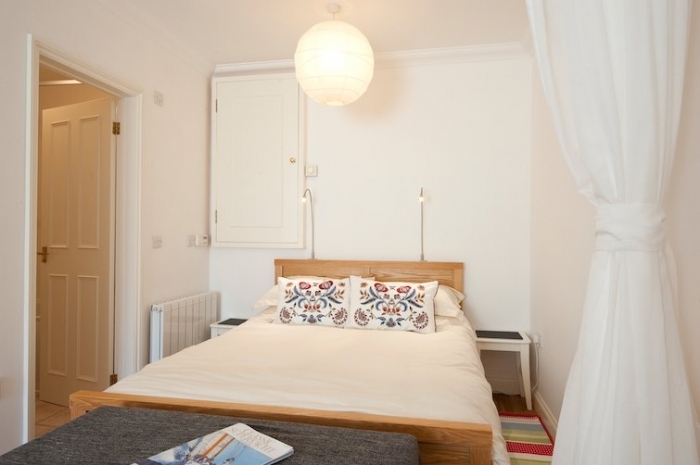 We have tried to make the furniture, fittings and layout, offered by Number One, as clear as possible in the photographs on Cornwall's Cottages website. Being concerned about this matter, I discussed the issue with Cornwall's Cottages today to see if we can improve. During this discussion I was informed that you spoke Cornwall's Cottages, when making your booking, and during that conversation you highlighted, from the website photographs, the bed's footboard and that you were of above average height. I understand that you said that it did not matter and went ahead with the booking. I can only stress the importance of checking that all of the details are to your satisfaction before committing to a booking. I sincerely hope that this experience does not put you off the area in the future. 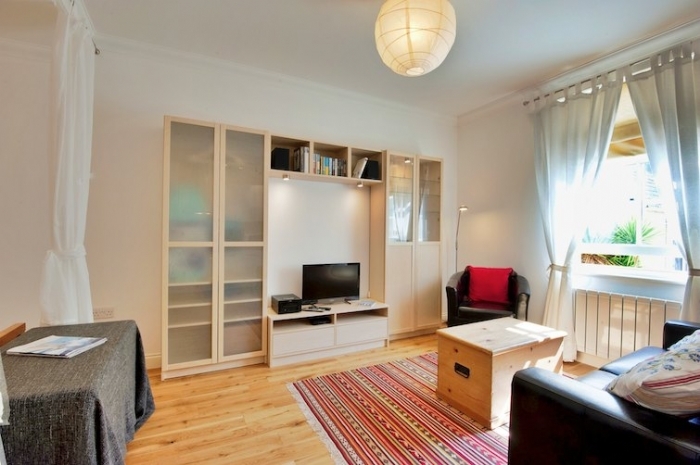 Perfect little apartment for a couple who want a base that is so close to everything. 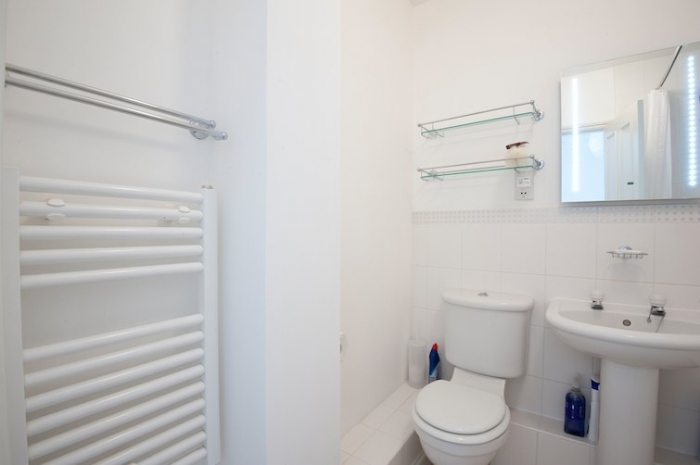 Clean and tidy, very welcoming, had everything that you could possibly need. Dishwasher was a bonus! Bed was extremely comfy and the lavender scented pillows were a nice touch. Bathroom was well equipped and not a bad size. 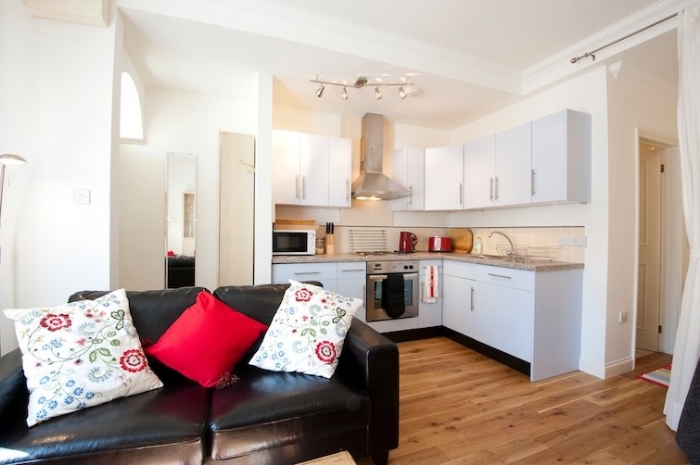 Very pleased that we chose this apartment! the accommodation was perfect for a couple and in a great spot. Very cosy and the only thing that was missing was the washing machine. Apparently they had replaced it with a dishwasher earlier in the year and we hadnt been advised. One of the reasons it was chosen by us was because it had that in the apartment so it was rather disappointing. 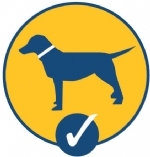 Reply from CornwallsCottages.co.uk on behalf of the Owner Thank you for taking the time and trouble to do a review. We are so pleased that you enjoyed your stay at Number One. Best wishes, Rob and Cai. Cracking accommodation, friendly people, will come again. Thanks. A very nice week in a perfect location, just loved St Mawes. Great way to spend our 48th wedding anniversary. A great place to stay. Very well equipped apartment. We had a lovely stay at Number One, the cottage was well-equipped and we had everything we needed during our stay. The central location is great and I cannot think of anything negative to say about it! Had a really good time, had everything we could possibly need - fantastic introduction to Cornwall. Thank you for a great place - we loved the bathroom mirror too! Very nice place in a great spot - Thanks. A lovely, cosy place in a super location. Had a wonderful time and will return in the future. 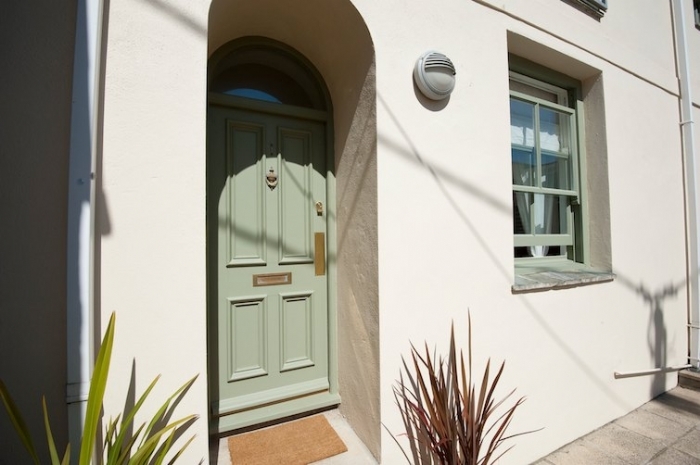 A few paces from the pretty old harbour in the ancient fishing village of St Mawes, Number One is the perfect base for a quick break or an extended relaxing holiday at any time of year. 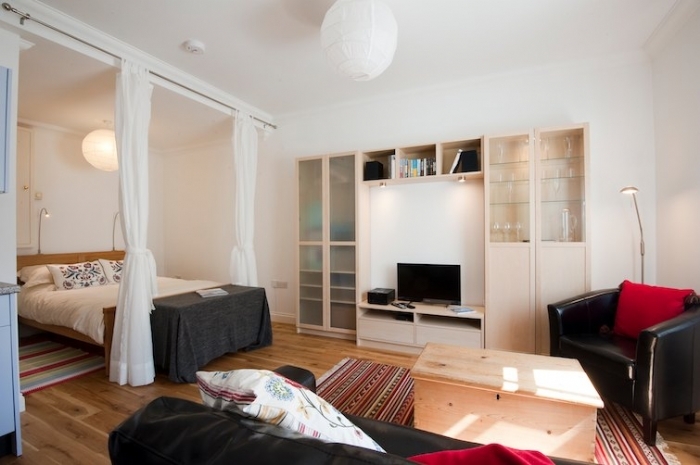 Completely refurbished in 2012, the apartment has its own front door, a stunning oak floor, TV, superfast broadband, sound system and kitchen equipment. This is a supremely comfortable apartment in the perfect location and is exceptional value - it really is the number one choice for two! 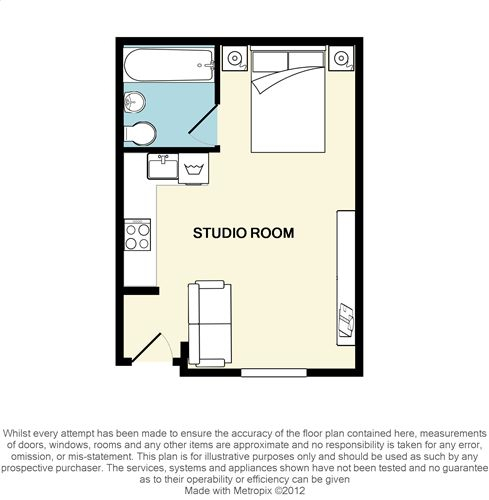 Ground Floor only: Large room with curtained off sleeping area with standard double bed - 4'6" (137cm) wide x 6'3" (190cm) long. A sitting area with double sofa, arm chair, flatscreen TV and sound system, a well equipped kitchen area and bathroom with over bath shower. There is also a slim cupboard with shelves and a small hanging area for clothes. Please note there are no table or chairs for eating purposes. Heating is via central heating. The kitchen has a range of modern equipment. 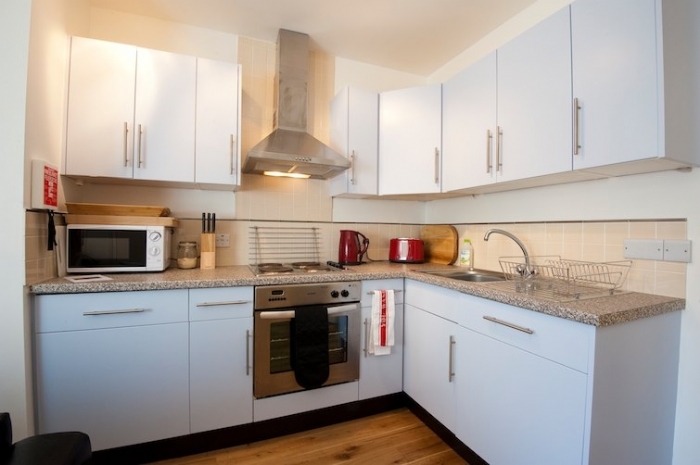 There is an electric oven and hob, a microwave, toaster, kettle, larder fridge (no freezer) and dishwasher. The sitting room area has a flatscreen digital Freeview TV, DVD, CD, Radio & iPod dock. There is Superfast WiFi available at the property, subject to fair usage. There is an iron, table-top ironing board and travel hair dryer. The price is based on two adults sharing, however one child (11-16 years of age) may be permitted on the sofa bed at a small additional fee of £25. 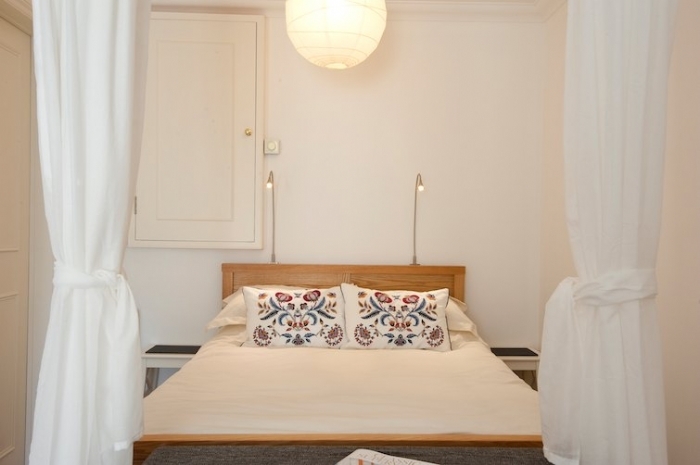 You will need to bring your own bedding & linen for the sofa bed. 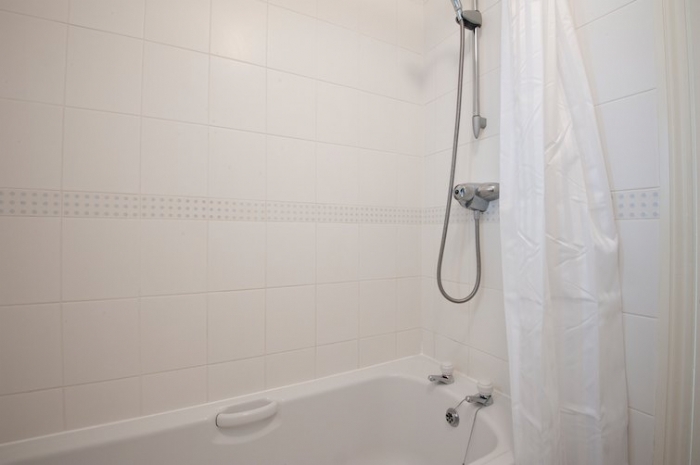 Electricity, heating & bed linen are all included but you will need to provide your own towels. Regrettably no smoking or dogs are allowed. Parking, during the season, is available a few paces away on the quay or in the main village car park, which is a short stroll around the harbour. Limited parking is also available on the sea front in the evenings and all day, out of season. St Mawes is one of the finest waterside villages in Cornwall. Situated overlooking an idyllic bay on the eastern side of the famous Falmouth Estuary, St Mawes has one of the mildest climates in Britain due to its proximity to the Gulf Stream. The sea is at the heart of the village and has helped to shape St Mawes from once being a little fishing village to the fashionable holiday destination that is now so popular with visitors. A mecca for boating enthusiasts, St Mawes is a particularly popular sailing centre. Weekly club racing, village regattas and larger events are commonplace on the superb waters of the bay throughout the summer. St Mawes has so much to offer the visitor. St Mawes Castle was built by Henry VIII and is a splendid place to take in the views of the Carrick Roads. There are miles of coastal and countryside walks to take in and idyllic beaches on which to relax and watch the world go by. The little Place Ferry takes visitors to explore St Anthony's Head and there are regular ferries to Falmouth. Being situated on the coast, It comes as no surprise that the village is also known for the restaurants and pubs that serve superb fish and shellfish dishes all year round. Within walking distance of the cottage there are a number of pubs, cafes and hotels, with fine dining restaurants including the famous Hotel Tresanton. St Mawes has a good Co-op supermarket, Post Office, chemist and butcher. Fresh fish is available from a stall on the quay.